An RV deals with a whole different set of difficulties, which is why you need a product custom designed to stand up to the rigours of life on the road. To make sure T-STRAND OSB RV Panels shine in RV manufacturing, we produce each sheet with our Canadian aspen wood fibre and bond it with the same resin used to manufacture our PS 2-certified OSB. Our Tolko T-STRAND Pro OSB RV Flooring provides a durable, impact-resistant surface that not only protects, but is lightweight enough to help cut-down on fuel consumption. This makes it an ideal choice for subflooring in motor homes. Made with aspen fibre, T-STRAND offers exceptional fastening and workability, with split-resistant panel edges. Manufactured with moisture-resistant resins, our OSB RV flooring features our Blue Edge Seal, which further protects against swelling. For quick installation and fewer seams, we offer special sizing, including convenient, oversized panels. The air quality in your RV is of the utmost importance. To make sure your RV remains a healthy place to reside, we guarantee no added urea-formaldehyde, a common and hazardous indoor air pollutant. T-STRAND OSB products meet HUD regulations and are exempt from CARB ATCM for Formaldehyde from Composite Wood Products and EPA’s TSCA Title VI Standard for Formaldehyde from Composite Wood. 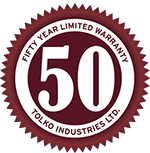 50-year transferable warranty against delamination. With T-STRAND Pro OSB RV Flooring, you can feel confident with the finished product, knowing our panels are APA-quality-assured and manufactured to exceed PS2 and the minimum 19/32 CAT STR 1 rating. And, to make sure these quality panels arrive safely at your doorstep, every order is shipped inside a woven-poly bag for added protection against the elements. Call our OSB sales team to ask about OSB RV panels.